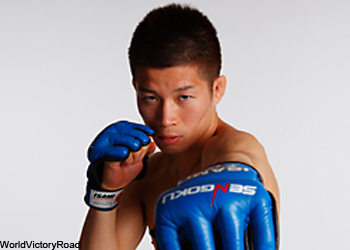 The UFC has added Japanese star Hatsu Hioki to their featherweight roster. The 27-year-old inked a multi-fight deal to compete for the world’s largest mixed martial arts promotion on Saturday. The submission specialist owns an impressive 24-4-2 record, with nearly all of his scraps taking place overseas. He’s won four consecutive contests. Hioki voluntarily vacated the Shooto title last month, which ignited rumors he would soon be Octagon bound. There’s no word when Hioki will make his UFC debut.